Evgeniya Kovalenko decided to move to Barcelona more than 12 years ago. An entrepreneur with her own healthcare tourism business, this Muscovite tells us why she was so taken with the city and its people. It is essential to get lost in the narrow streets of the Raval neighbourhood, part of Barcelona's old town. Discover an area full of ‘fondas’ - small restaurants serving traditional, home-made Catalan food - as far as the Plaça dels Àngels, location of the MACBA (the Barcelona museum of contemporary art), another must. 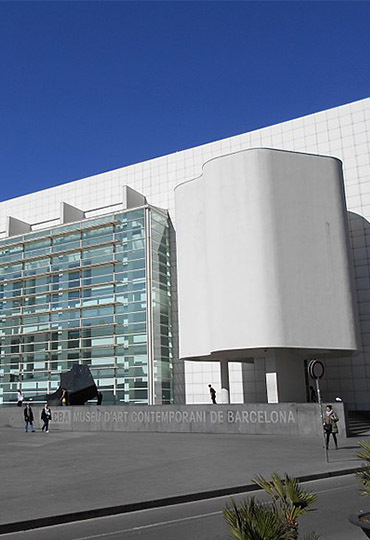 This majestic building has a permanent art collection with over 6,000 works, as well as a range of temporary exhibitions. 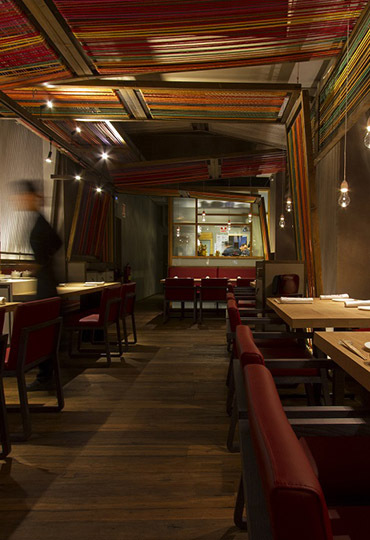 The Pakta restaurant is a project by the Iglesias brothers and Albert Adrià, based on their admiration for Japanese and Peruvian food, what is known to food connoisseurs as Nikkei cooking. In Quechua, the native language of Peru, Pakta means 'together, union'. This is why the culinary talent of Kioko Li on the Japanese side and Jorge Muñoz on the Peruvian have been joined together to give this highly worthwhile gastronomic experience. In the form of a tasting menu or à la carte; either of them will delight your senses. This furniture, household and decoration shop uses only 100% natural products for the colours and finishes on the pieces it designs - to order if required - and has been producing and selling its wares since 1993. Natural oils that filter through and impregnate the pores of the wood to ensure it will stand up to everyday use, while at the same time keeping its natural essence. 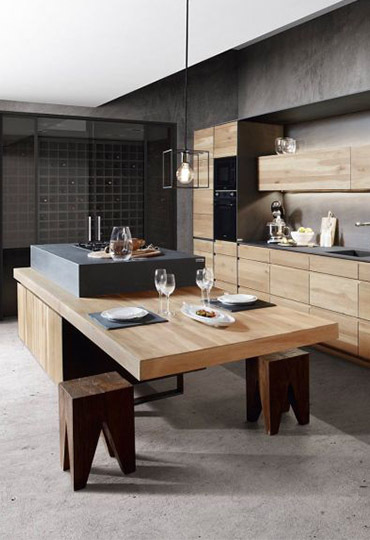 Only wood from sustainably-managed forests is used, making TENUEE a high-end brand that is environment-friendly. 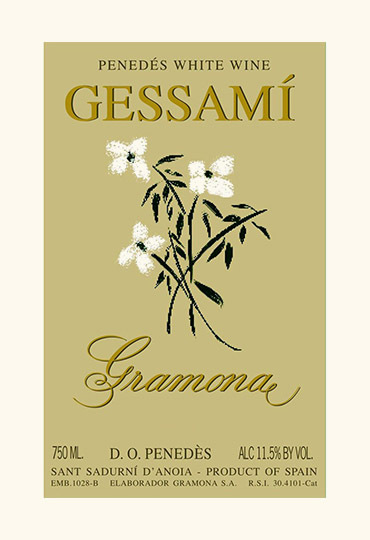 Gramona Gessamí white is an organic wine from the Penedès region, pale in colour with bright glints and a very intense aroma. Like a walk in spring, this wine recalls the crispness of clean air, and a bunch of white flowers: jasmine and orange blossom. Another attractive gastronomic idea is the Feroz restaurant, the ‘in’ place in Barcelona. Decorated by the interior designer Pablo Peyra, it is a landmark on the night-time food scene. In an unbeatable location right on the Carrer Tuset, where the legendary restaurant Two7 used to be. Its cooking, with the seal of the Olivé group, offers a Mediterranean culinary experience. 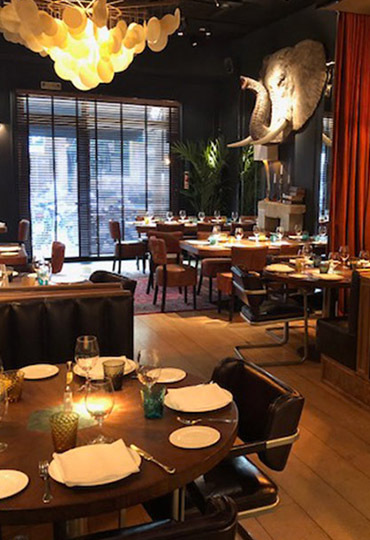 Good meat, good fish, better shellfish and an excellent, varied wine list with more than 90 Spanish and international wines: its estate wines (Vinya Gigi and Vinya Le Havre) and the 3055 range, Chardonnay and Merlot-Petit Verdot, among others. And at night you can enjoy a live DJ until three in the morning. Valenia Health Services is a Barcelona firm that works with foreign visitors interested in any kind of treatment connected with health and/or beauty. From cosmetic treatments to oncology cases, including full check-ups carried out in a single day. 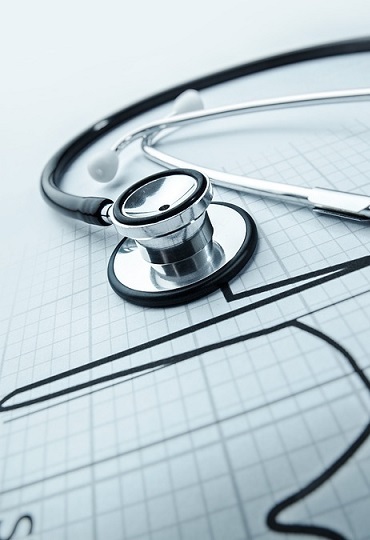 Valenia HS finds and arranges appointments with the best doctors in the best centres from among the many options on offer in Barcelona, now considered one of the leading European capitals in medical treatment. Peratallada is a small mediaeval village in the Baix Empordà area (Costa Brava), packed with charm. Its country architecture survives largely intact, inviting visitors to take a relaxed stroll around its finest mediaeval corners: its winding streets and the numerous arches and passageways to be found there. 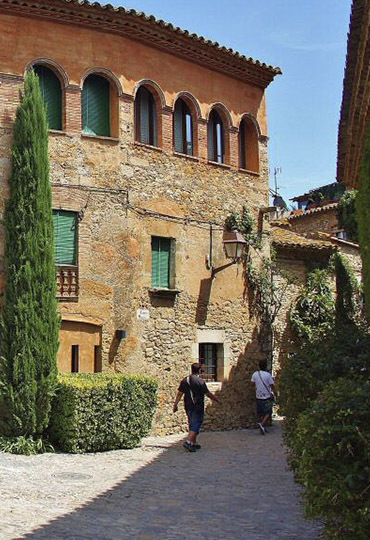 The first historical records of Peratallada, concerning its palatial castle, date from the year 1065, though archaeological finds prove that its origins go back at least to Roman times. It does not take long to see the whole village, but photography enthusiasts will never tire of it. Maje clothing shows off a subtly modern spirit with a touch of studied originality, opting for creations with personality and up to the minute details. This French firm, set up by Judith Milgrom, was founded to dress busy women. The Maje style brings out a distinctly feminine figure that is at once sober, glamorous and bold. 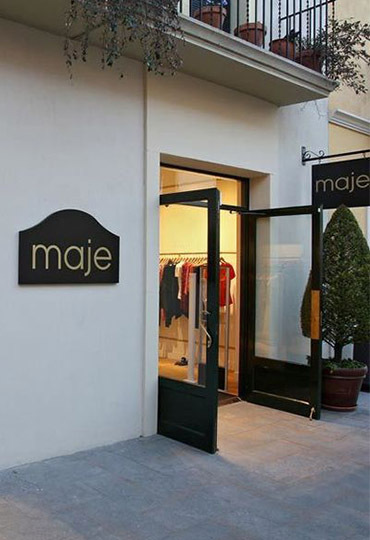 Discover the whole Maje universe in their boutique in La Roca Village. Chic Parisienne style just 40 minutes from Barcelona.